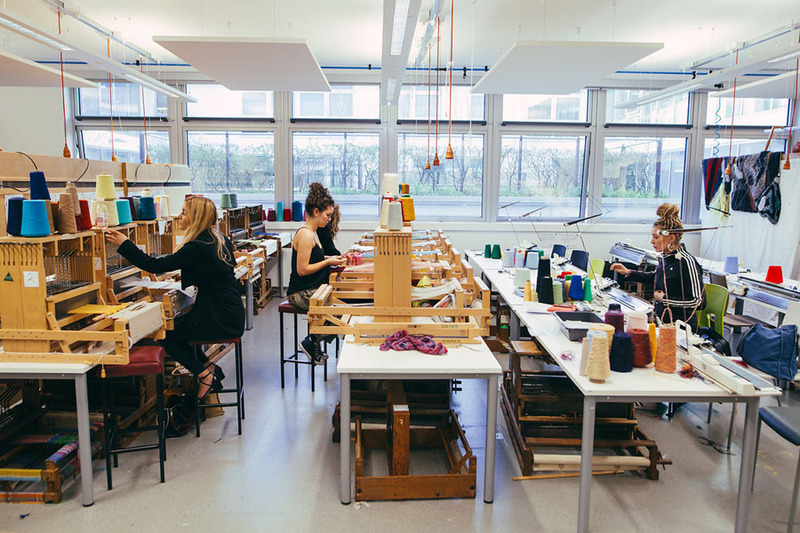 Our BA (Hons) Textile Design degree course gives you the opportunity to experience broad textile specialist skills combined with design and industry awareness. 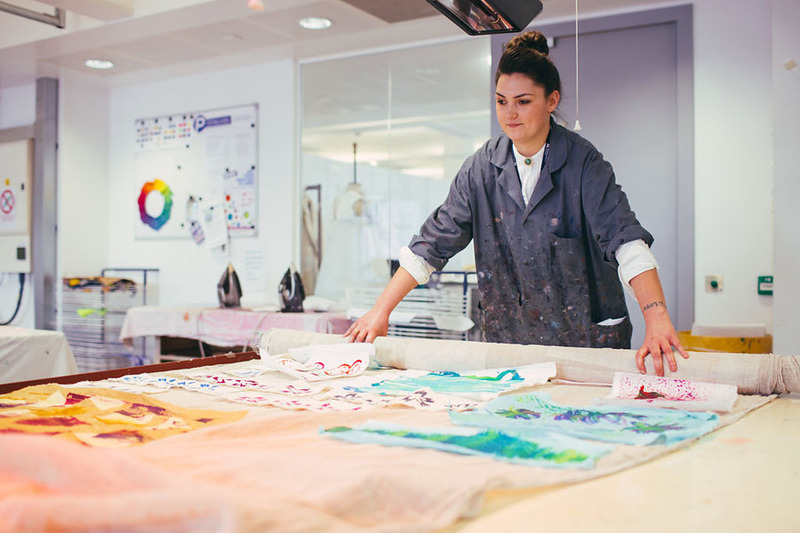 You will be guided and encouraged by an experienced teaching team engaged in textiles practice, helping you to explore your ambitions and skills, testing career aspirations in five focused teaching pathways, which will prepare you for graduation and beyond. We work with you during studio sessions in a variety of ways and you will be supported by a highly skilled technical team who manage the workshops and deliver technical demonstrations. Your timetables enable you to manage self-directed study resourcefully in relation to module deadlines. With no house style we encourage you to embrace digital technology and traditional craft skills to enable your creativity, personal talents and professional awareness to be developed throughout the course in relation to career ambitions. 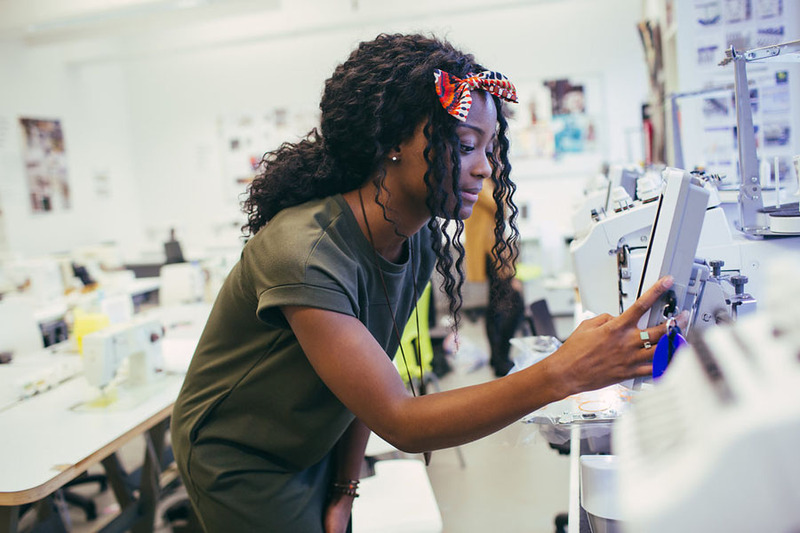 Our unique Next Step module prepares you and your graduate profile to bridge the gap between study and industry, whether as a designer maker, a trend Consultant, visual merchandiser, studio designer or in another relevant role. Throughout the course we've learnt a variety of skills both creative and transferable. To open our minds and really 'think outside the box' is at the heart of our design work. Through our placements we undertook on the course, we have become more prepared and experienced and ready to adapt to working life and to reach the highest level of professionalism we wouldn't have acheived otherwise. Our graduates have taken up employment across the globe, working with leading companies such as Alexander McQueen, Liberty, Paperchase, Osborne & Little, John Lewis and many more. Work alongside award-winning academics and practitioners, who have exhibited at leading design shows and will share their extensive experience to help you achieve your ambitions. Belong in our creative community working with highly experienced academics and practitioners - award winners and exhibitors at leading design shows – who share their experiences to help you learn and achieve your ambitions. Not only follow trends, but help to shape them as live briefs put you in touch with leaders in the field. Benefit from our industry networks enabling you to work on exciting ‘extra-curricular’ projects, enabling you to grow your CV from your first year. Study support, tutorial access and technical training exists throughout the modules, ready for you to access it when you need it. The combination of workshop practice, exploring digital technology and traditional craft skills enables you to develop a personal and professionally relevant portfolio. 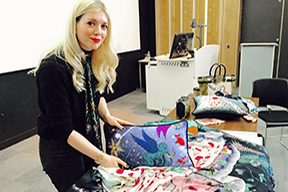 Graduate Sophie Hawkesford offers an insight into the wide range of career paths that are accessible with a textile design degree. 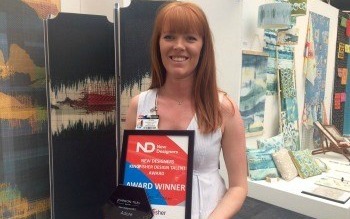 This year saw a record breaking number of awards for Birmingham City University students, with final year Textile Design students securing industry awards and placements at the annual New Designers exhibition. In addition to qualifications, applicants will also need a good portfolio. You will be able to access printing and materials at subsidised costs and may need to purchase your own small tools. There are additional costs for national and international field trips, if you participate in these. If your application is progressed, you will be asked to submit a portfolio of your creative work. Your portfolio is your opportunity to show us examples of your work and creative interests to support your application. If you are a UK home-based student you will need to bring a physical portfolio with you to one our portfolio review days. Please see our portfolio guidance page for tips and advice on putting your portfolio together. If you are an EU or International student you will be asked to submit a digital portfolio as part of your application. Please see our international portfolio guidance page for guidance on how to create and submit your portfolio. What's included in your course fees? 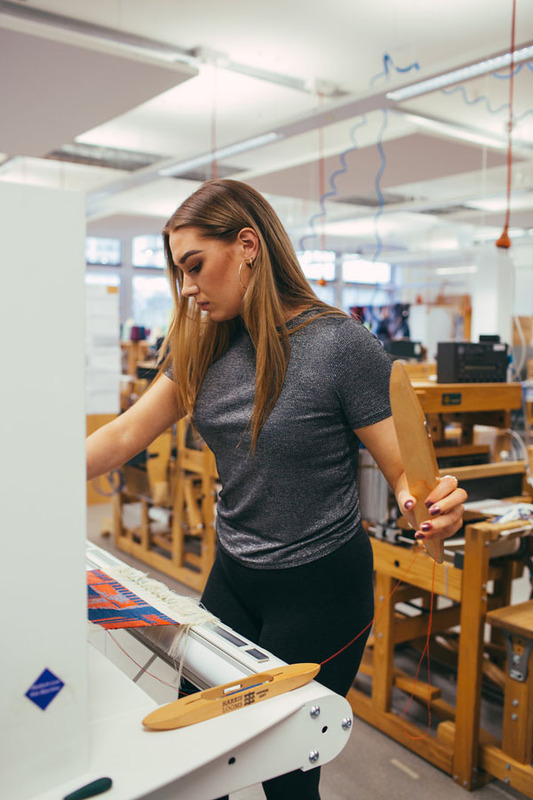 To support your design studies you will have access to our fabulous textile workshops, kitted out with both traditional and digital, industry standard industry-standard equipment, including jacquard looms, computerised sewing machines, silkscreen and digital printer facilities, and dye labs. 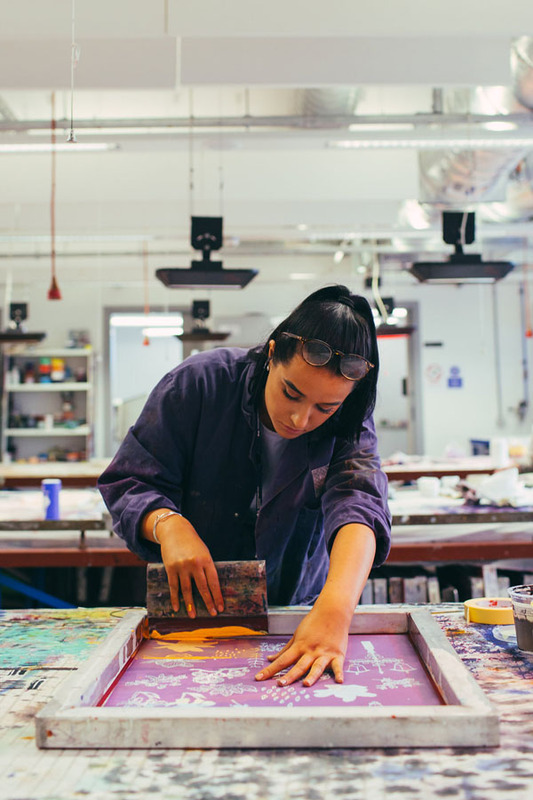 There are further workshops onsite at Parkside Building, that incorporate that our students regularly use including photographic studios, 3D workshops, a printmaking workshop and CAD suites, all helping to shape your individual style and working methods. Guided and encouraged by an experienced teaching team, engaged in current research or practice, and through workshop experiences supported by e-learning, you investigate key areas of constructed textiles, embroidery, printed textiles and surface design before following your own specialist route in the first year of the course. 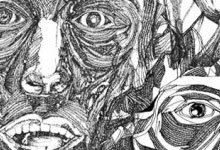 This introduces students to the initial stages of the design process, focusing on the importance of original image generation, drawing and self-expression. Students will explore diverse approaches to generating visual information and apply this to begin to build design compositions. 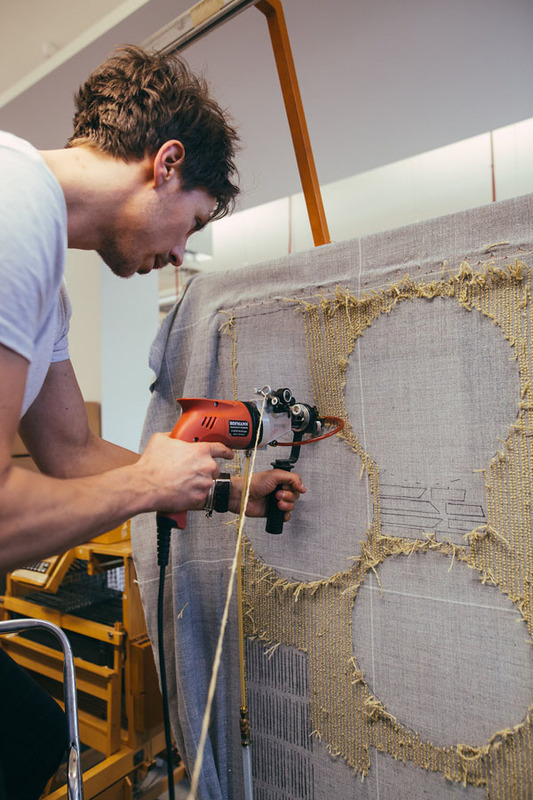 This module introduces students to four core design processes: print, weave, knit and embroidery, through extended workshop technical delivery and personal creative expression through making. There will be a strong focus on materiality and fabric properties, which will be related and applied to a specific design context. 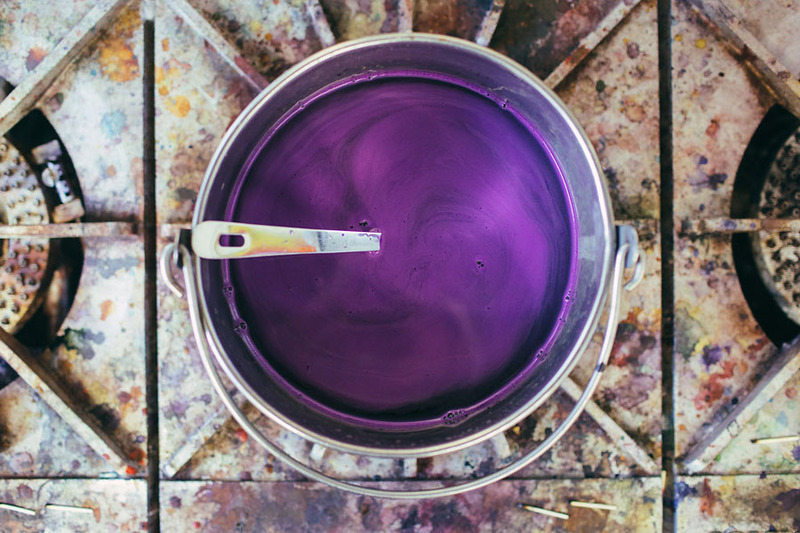 In this module, you will experience a client focused design journey, building experience of working with colour and extending your technical knowledge. 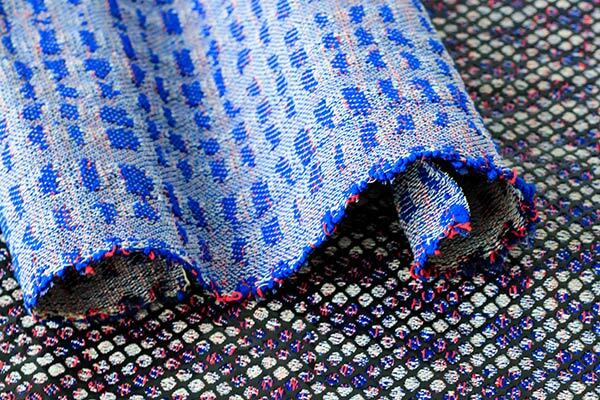 Colour will be explored through research, drawing, material investigation and technical development. There will be an emphasis on CAD and digital technologies in the development of a targeted, co-ordinated collection and visualisation of ideas in relation to a specified context, simulating a commercial design project. 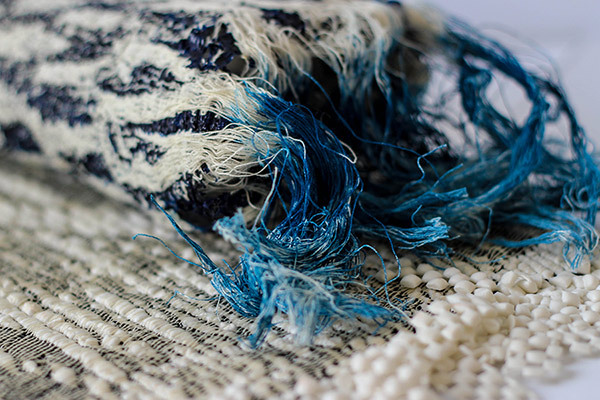 This module provides an introduction to historical and cultural contexts with international influences for students undertaking level 4 of the BA (Hons) Textile Design degree in order to provide a foundation of design knowledge and understanding, to support studio practice. In your second year, you explore trends and predictions in fashion and interior design, see the realities of the working world through a live project and a professional experience module, engage with business principles and have the option of an international study visit. This module provides a professional and cultural context for students undertaking level 5 of the BA (Hons.) Textile Design course. The lecture programme and participatory workshops / seminars encourage you to think broadly and critically about contemporary social and professional issues in relation to the place of textiles within international society, preparing you to consider key agendas in relation to your own career path interests. 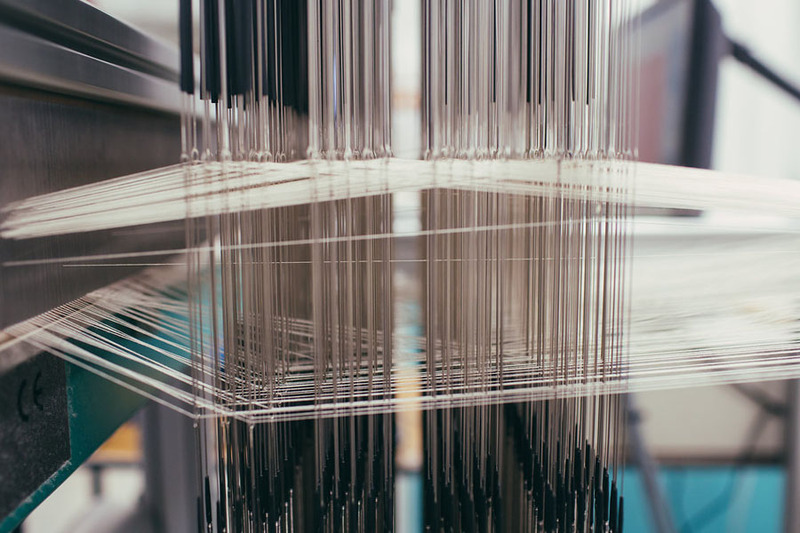 This module has been designed to test and explore potential career pathways within the textile industry. It builds on the theoretical understanding gained in the Textiles in Contemporary Context module, through a practical design experience. This module provides the opportunity to develop important interpersonal skills alongside career pathway knowledge and understanding. The module will include working collaboratively and independently on writing and practically undertaking design briefs that relates to one of the career focused teaching pathways. You will apply knowledge gained about the chosen sector such as product / client / routes to market / costings / marketing & promotion, in developing and communicating a viable industry facing project. The purpose of the work placement module is to enable you to develop professional attributes and subject skills through experience in the work place, and to critically reflect upon your learning in that context. You will normally be expected to arrange your own placement, with support from academic staff and BCU Careers. Your final year gives you the opportunity to hone your portfolio and experience to suit your career ambitions through focused projects. This module enables you to reflect and synthesise previous projects in order to establish a creative direction and career-focused concept / brief to drive personal research and development of the Professional Project. As a creative practitioner, it is an important skill to be able to evaluate successes and evolve ideas from one project to another. 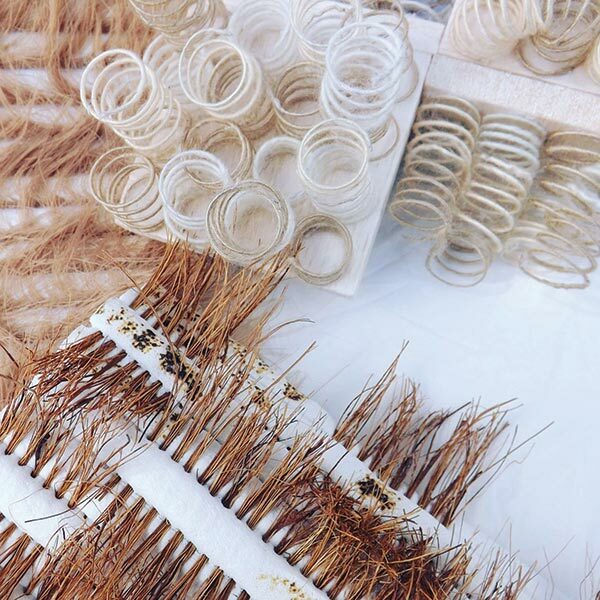 The module builds and demonstrates a personal focus of study as a culmination of the knowledge, understanding and career aspirations of the individual in relation to textile design contexts. Practical and theoretical study combine to explore design concepts answering a personal brief with a professional focus. The direction the project takes will be in relation to your experiences of career-focused teaching and immediate professional plans on graduation. This module supports the process of exhibiting / promoting the final project, with a reflective and evaluative emphasis aiming to initiate a viable and continued creative journey. It has been designed to help bridge the gap from academia into industry, and offers support with developing personal promotion, branding and marketing material and building a digital presence. This is also an opportunity to engage in supporting theoretical research to confirm the viability of a proposal/direction, and confirm future goals and career aspirations. In your first year you will investigate drawing and idea generation preparing you to explore design challenges throughout the course. 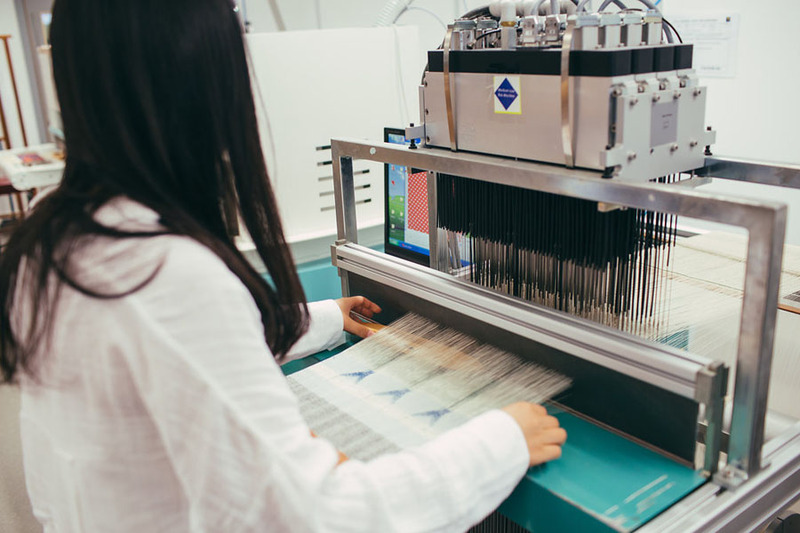 You will be introduced to our workshops to learn and sample in key areas of woven and knitted textiles, embroidery, printed textiles and surface design, exploring experimental textiles and colour techniques. 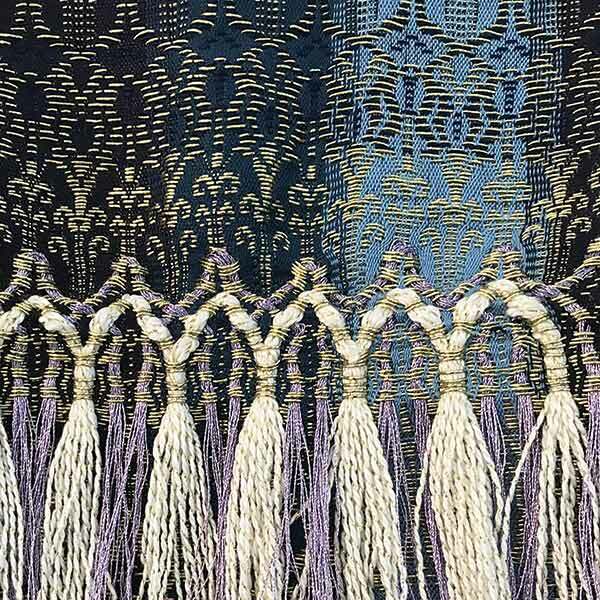 A contextual lecture / seminar programme provides you with knowledge of historic textiles and supports your own research and critical thinking skills. 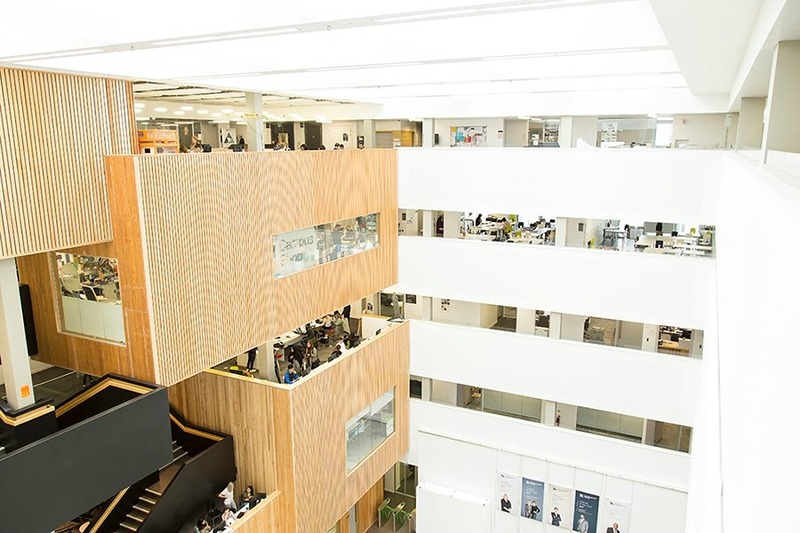 You will study market and client awareness, trends in both fashion and interior design sectors, commercial considerations with industry-facing projects as well as business principles, ethics and sustainability issues. 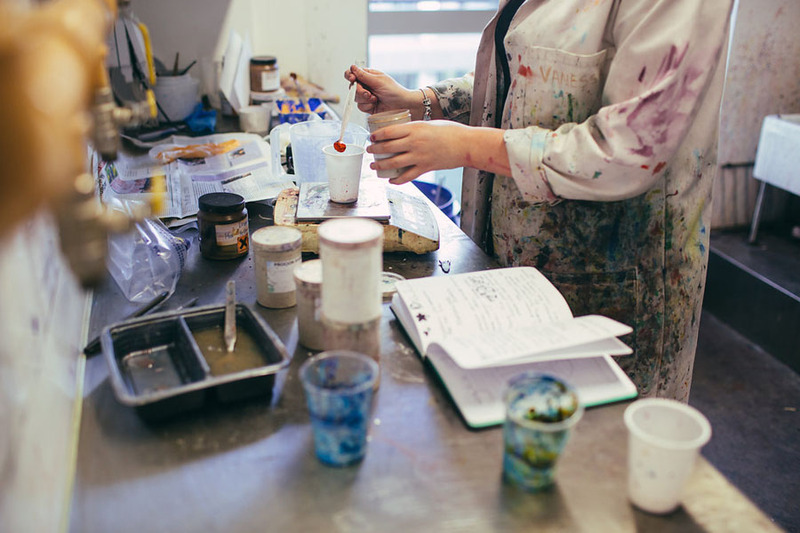 You can choose to undertake a work placement or Collaborative Practice module, working alongside creative students from across the Faculty. We also have an optional international study visit. In the third year you continue with the design journey in relation to your chosen career pathway, creating a professional portfolio of design work and engaging in personal contextual research. In depth academic research and practical modules enable you to test and resolve creative briefs in relation to your professional ambitions. Find your direction. 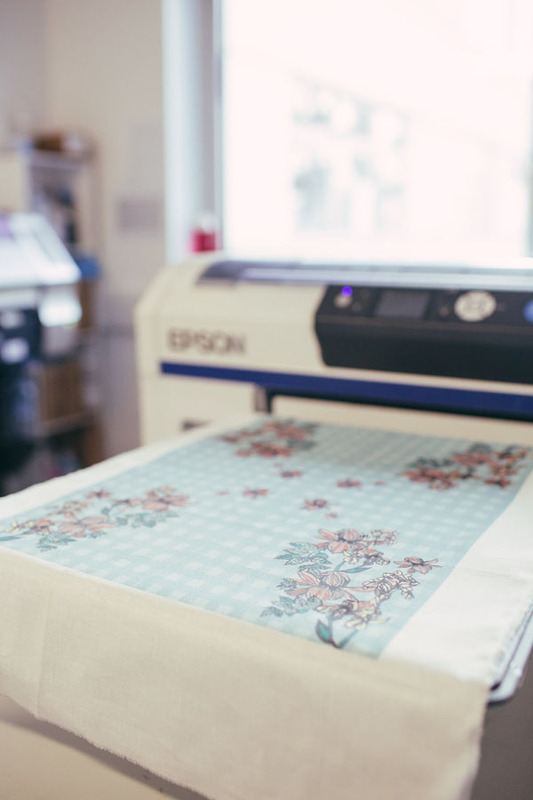 Learn a range of textile skills, including print, then specialise in your second year. The learning environment includes a wide range of learning and teaching methods, an experienced teaching team engaged in current research/practice, and studio/workshop experiences supported by e-learning. 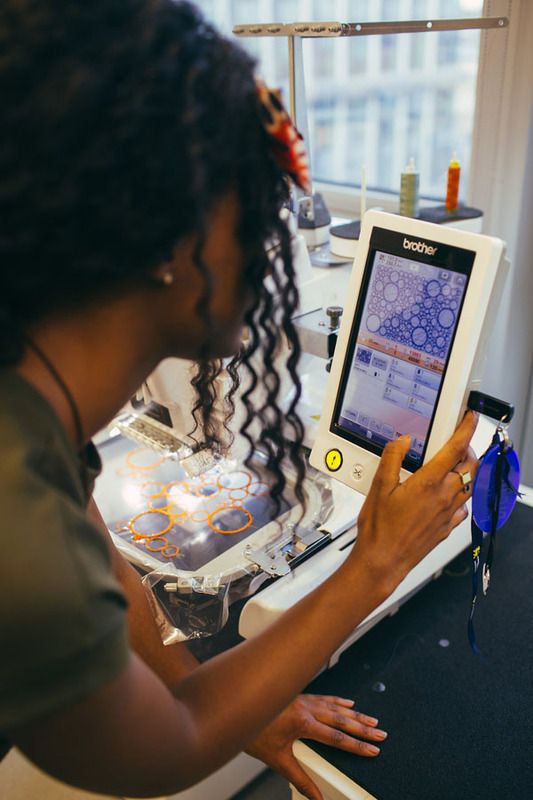 There is access to both digital technology and traditional textile craft workshops. 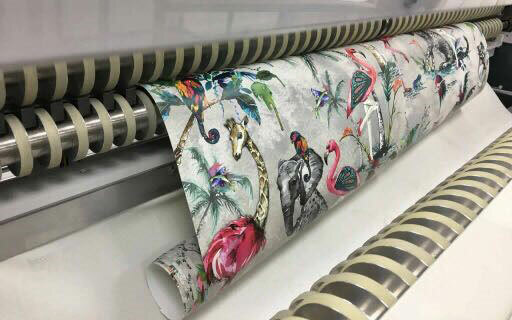 Equipment includes a Mimaki digital printer, jacquard loom, computerised AVL studio looms, digital embroidery machines and laser cutting equipment, in addition to traditional facilities including print tables, transfer press, knitting machines, looms and rug tufting guns. Supportive tuition in specialist and combined groups throughout the course fosters the interchange of ideas. The diverse experience of the academic staff reflects the course ethos – all are practising designers/visual artists, many working internationally. The course actively fosters links with organisations (including museums and galleries) and industry, providing a continuously updated contemporary educational experience. 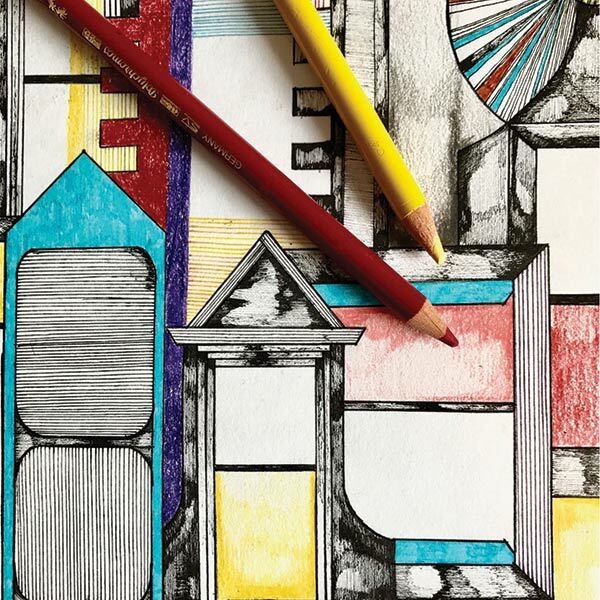 Practical drawing sessions help to get design projects underway in a friendly and supportive environment, building your skills and confidence by sharing and learning as part of a peer group. We help to prepare you for the real world by running design projects as if in a commercial studio. With role-play sessions, reviews and critiques, you get the opportunities to test your professional networking skills, ready to take to your perfect job. 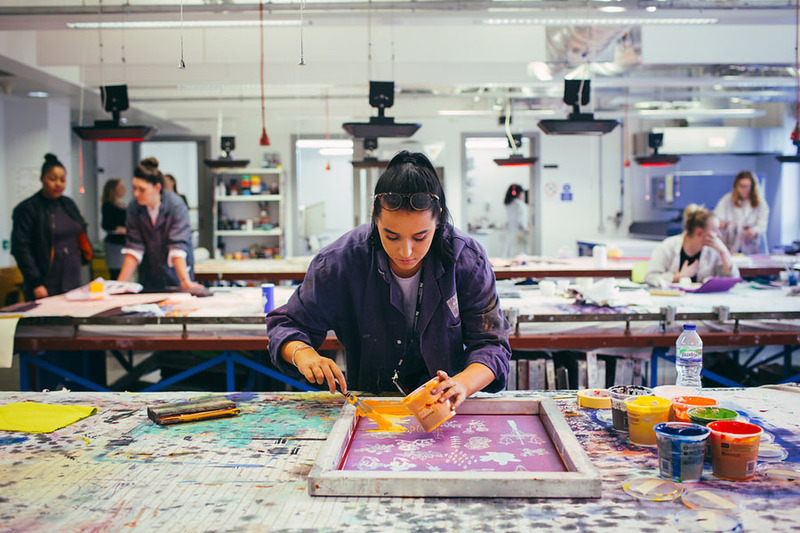 Working alongside friends to learn and understand the subject of textiles in relation to the wider industry you will participate in seminars to discuss contemporary design issues, such as ethical fashion, global trends and international manufacturing, while working out what makes you tick. 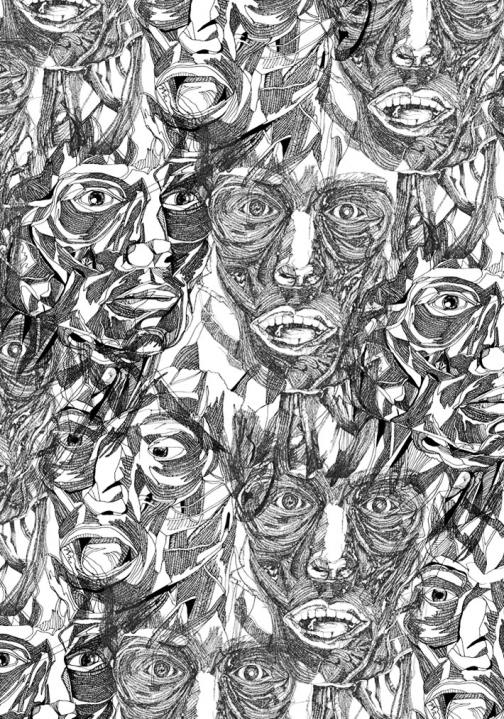 Jess’s work shows her interest and commitment to drawing and pattern making, using both traditional and digital skills. She has developed a great commercial design sense, working on live trend briefs throughout the course, and even selling one of her final designs to Osborne & Little. 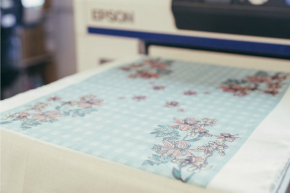 Laura learned her digital embroidery skills in her second year and has practised ever since! 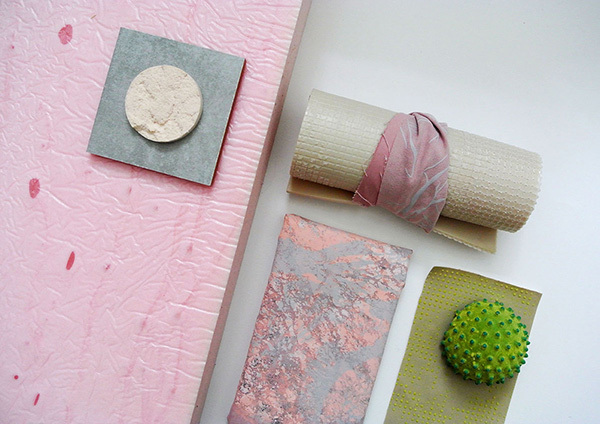 Her final project demonstrates her fabulous colour sense and personal style. Commitment to design development and technical know-how she is setting up her own studio to keep on stitching. A study which aims to be an exemplar for the future of our planet and how humans might develop urban environment that is less destructive and more embracing of systems of plants and animals. 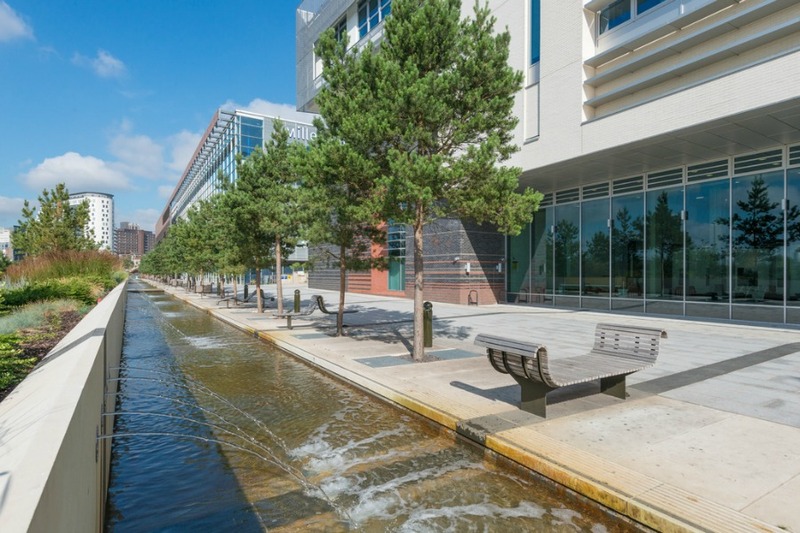 A design project by example, designing a bespoke urban green network that is responsive to diverse urban design requirements of Reading city centre. We have a great record of students progressing to postgraduate study, with two alumni graduating from the Royal College of Art in 2016. Others study Master’s courses in Fashion and Textiles at Birmingham City University, as well as teacher training (PGCE). Our course is perfectly placed to get out and about across the country. You’ll visit local venues such as Birmingham Museum and Art Gallery, and the Botanical Gardens, as well as the Whitworth Art Gallery in Manchester and Uppingham Yarns. International travel includes a visit to Paris, taking in the trade show Premiere Vision, retail and cultural venues. We currently participate in the Erasmus scheme welcoming overseas students. 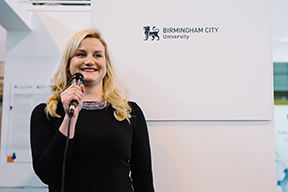 Entrepreneur Jas graduated from Birmingham City University in 2012 with a First Class BA (Hons) in Textile Design. She is currently making handmade bags for her own brand J D’Cruz handmade leather handbags. After graduating, I got to exhibit at New Designers which was an invaluable experience where I gained extensive industry knowledge and contacts. I was also very lucky to have won a travel bursary from a competition I entered which allowed me to travel to the Indian International Leather Fair in New Delhi where here I purchased a few skins to make a batch of handbags to sell. Final year student Nader Nazari has had his design brought to life through a partnership between Birmingham City University and IKEA. 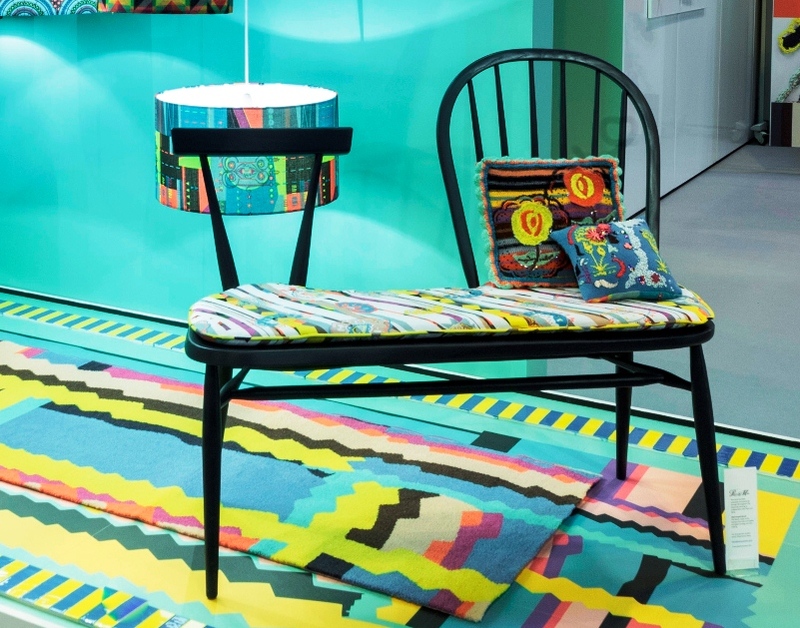 Nader's POÄNG chair can be found proudly on display in IKEA’s Birmingham Central store. 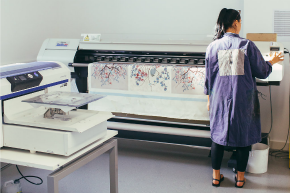 Our BA (Hons) Textile Design degree is designed to ensure you have the skills, vision and creativity to appeal to a range of employers. 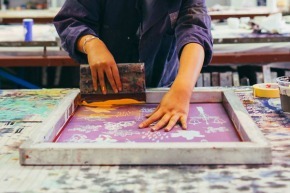 With strong understanding and skills in traditional and digital design, you will become adept at a number of textile processes, including print, embroidery, weave and knit. You’ll also gain a clear vision of where you fit in the industry in order to build a strong personal and professional portfolio, using promotional and marketing skills you’ll be prepared to take to future job roles. Emma J Shipley is an exceptionally talented and creative textile designer and graphic artist specialising in fine drawing, luxury scarves and cushions. Emma’s eponymous label launched at London Fashion Week in 2012 and Emma has gone on to win the Emerging Brand prize at the WGSN Global Fashion Awards and the Newcomer Award at the UK Fashion & Textile Awards. Emma J Shipley products are stocked in some of the most prestigious department stores and boutiques around the world, including Liberty and Fortnum & Mason in London. Emma has also collaborated with brands including Disney - on a Star Wars and Beauty and the Beast collection - as well as Aspinal of London on a collection of printed leather bags. Emma gave an inspirational talk to our current students - find out more on our school blog. 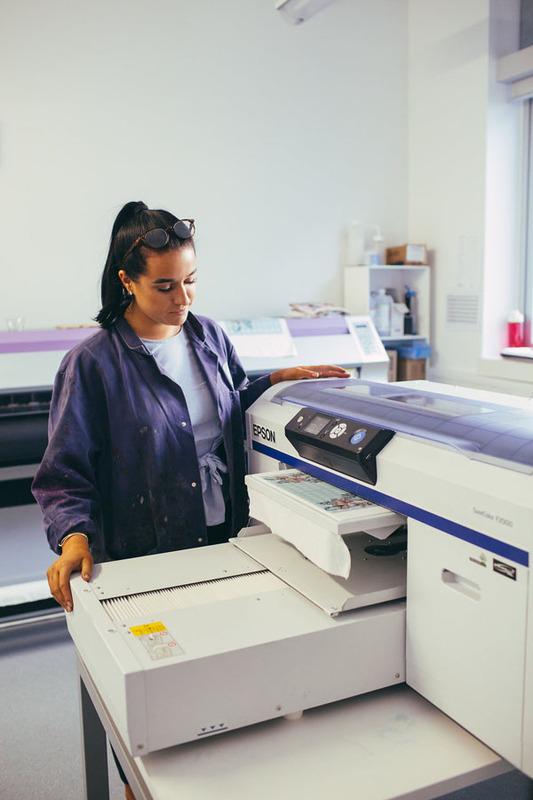 Hannah secured a placement with trend company Global Color (now the Colour Hive) in her second year and following her degree show was offered a job as a junior trend assistant. She is now a Colour & Trend Consultant Manager at Colour Hive where she presents the latest trends at trade shows across the world, as well as working with leading companies to develop their brand in relation to trend information. Hannah still works closely with the University, leading collaborative trend projects for our third year students. Adriana graduated in Constructed Textiles in 2013. Shortly after, Adriana joined The Prince’s Trust Enterprise scheme. Receiving financial and mentoring help, she set up her studio and bought her first loom. 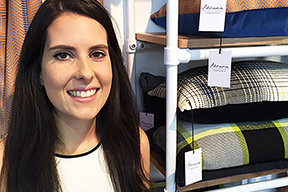 In 2016, inspired by her passion for colourful interiors and homewares, Adriana set up Adriana Homewares. Adriana Homewares design and make luxurious fabrics using 100% British Wool from Bluefaced Leicester sheep. 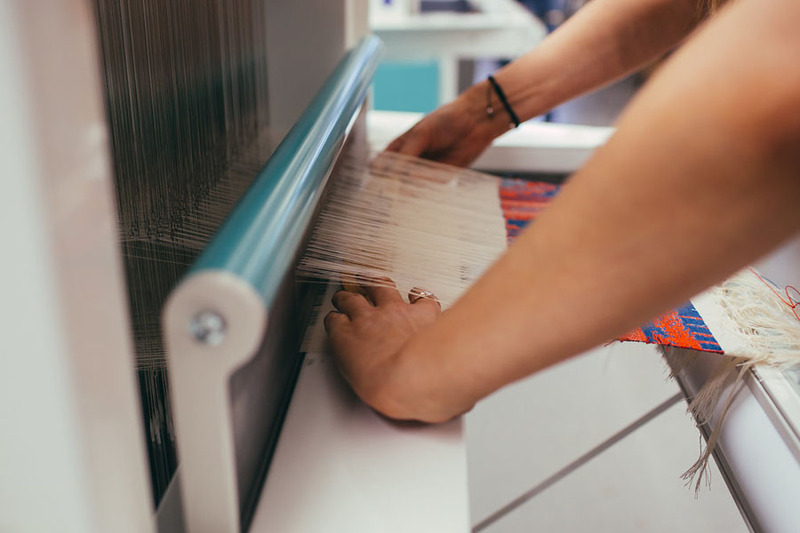 Adriana's ideas and experimentation start out as hand woven pieces on her traditional loom in their Leeds studio. Once satisfied with the results the specifications are sent off to mills to be created and then each piece is hand finished before being sold. To read more about Adriana's story and business head to our blog. 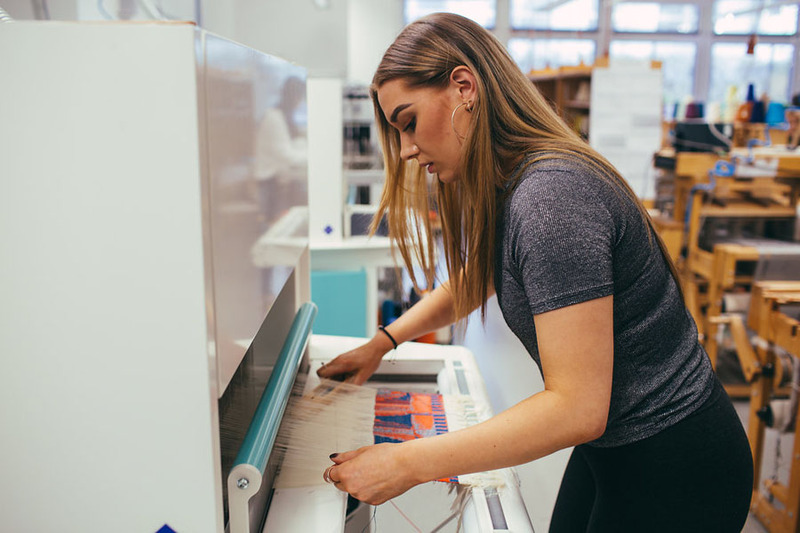 Since graduating in 2014, Bronagh has gone from strength to strength establishing an exciting international career in the silk weaving industry. Following her degree Bronagh moved to Laos, to work as a Textile Designer and Business Development Consultant at Soie De Lune, a silk hand-weaving business that provides luxurious textiles to interior designers. Bronagh now works in Bangkok, Thailand, as a Home Furnishings Textile Designer / Developer for Jim Thompson – the largest hand-weaving company in the world. 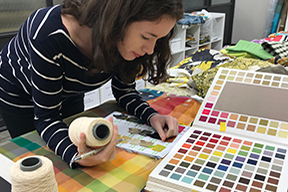 Bronagh’s role involves managing the textile collections, developing fabric designs, proposing design and colour concepts as well as material sourcing. To find out more about Bronagh’s work you can read our blog. Kate Hollowood is an award-winning designer who developed her composite material ‘Matrix’ during her final year of studies. 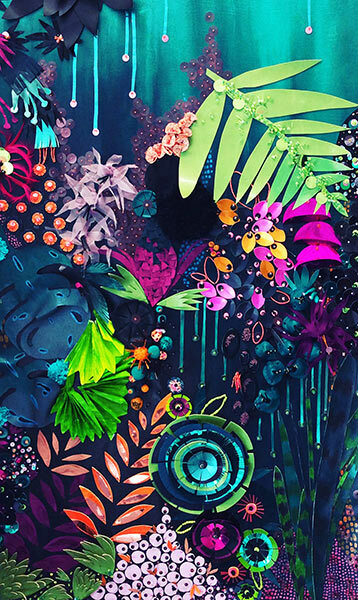 Kate was commissioned to create a statement lampshade for the collaborative Global Color Research (now the Colour Hive) stand at the Interiors Show NEC, Birmingham. 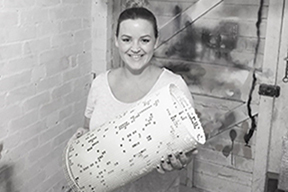 Since graduating Kate has successfully set up her business Kate Hollowood Design, as company director and designer maker. She has exhibited and attended multiple trade shows and recently won Gold at the Driven x Design, London Design Awards. To view more of Kate's work check out our blog. You will have the opportunity to carry out a placement in industry lasting a few weeks as part of the second year experience. We have a great track record and invaluable networks to support students. Students have previously gained work experience with Selfridges, Liberty, Alexander McQueen, Brintons, Monsoon, Dash and Miller, Burberry, Ted Baker and many more. Our students’ design work has been sold in NEW York and Paris, while graduates still get in touch to offer valuable opportunities to current students. We really value our close relationship with industry and invite guest speakers recently including Tracy Kendall, Michael Angove and Mockbee & Co. Being based in the Midlands enables us to work with regional key players such as Brintons, Birmingham Museum and Art Gallery, Selfridges and the RBSA gallery as well as London-based companies such as Colorhive and Tektura Wallcoverings. 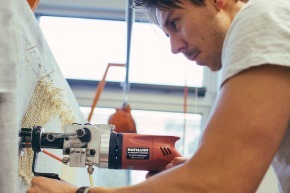 For the last 10 years we have exhibited in leading trade shows either in London or Birmingham’s NEC, showcasing our students’ work in collaboration with British manufacturers. We run live projects and engage with design competitions to provide students with different design experiences. 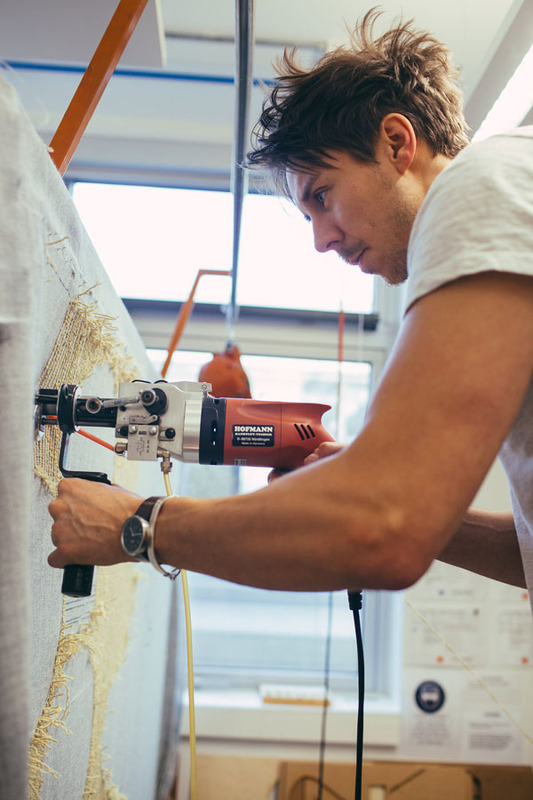 Our course is perfectly suited to students from around the world as we approach textiles from an international viewpoint. 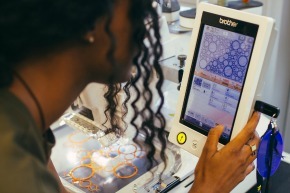 Students share experiences and learn from each other, and the teaching focuses, where possible, on the international design industry, from trends to manufacturing contexts, preparing graduates for jobs in the global market. Graduates from the course have worked overseas including USA, Saudi Arabia, France, Laos, Sweden and Finland. Kate Farley, our Programme Leader maintains an active design practice creating print designs for key brands including Barbican Centre and David Mellor Design, as well as working in collaboration with manufacturers including Formica. Senior Lecturer Zoe Hillyard has developed award winning ‘Ceramic Patchwork’, combining ceramics with textile mending to create highly collectible pieces. With previous international craft development experience and commercial studio practice she works across the years and manages our presence at New Designers, London. 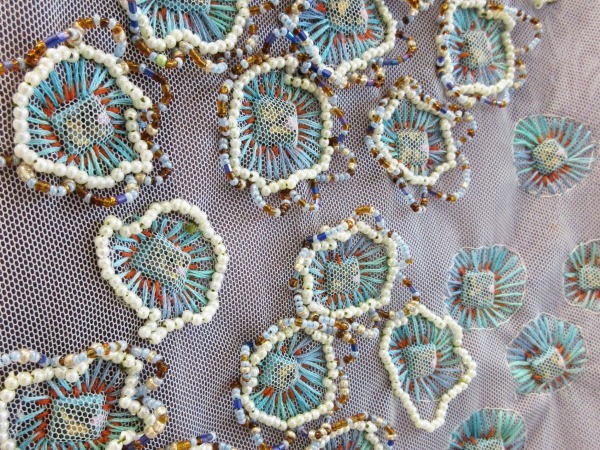 Graduating in Embroidery, Zoë Hillyard’s career has combined part-time lecturing with a range of other roles; initially producing embellished knitwear for the fashion industry and later designing tailored knitwear collections for Marion Foale. 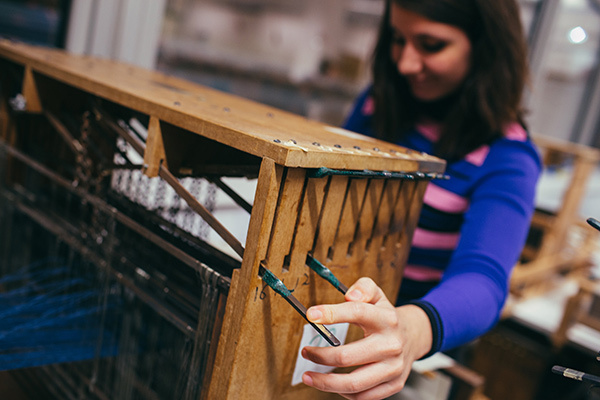 An interest in the role of craft production as a livelihood strategy saw Zoë undertake an MSc, developing research interests in the use of design as a strategy within International Development. This led her to spending a sabbatical year developing design education provision at the Textile Institute in Mongolia with the charity VSO. This experience laid the foundations of her current craft-based practice called ceramic patchwork. Zoë has developed a new application for the tradition of hand-stitched patchwork, using it as a mending process to revive broken ceramics. 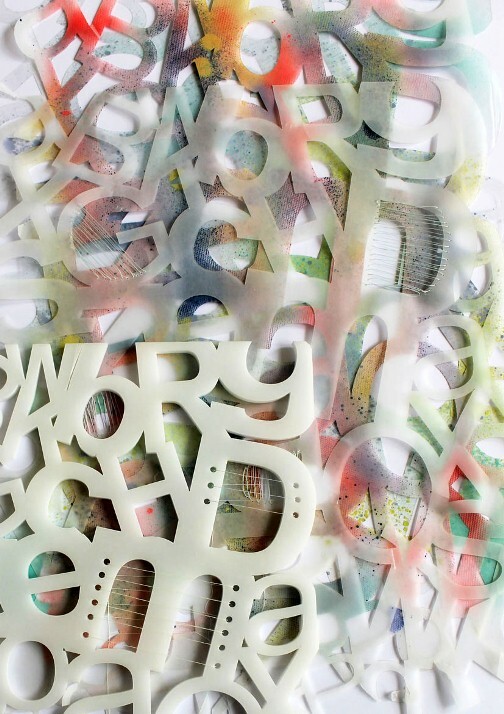 Her work explores concepts of fragility, imperfection, impermanence and resilience. 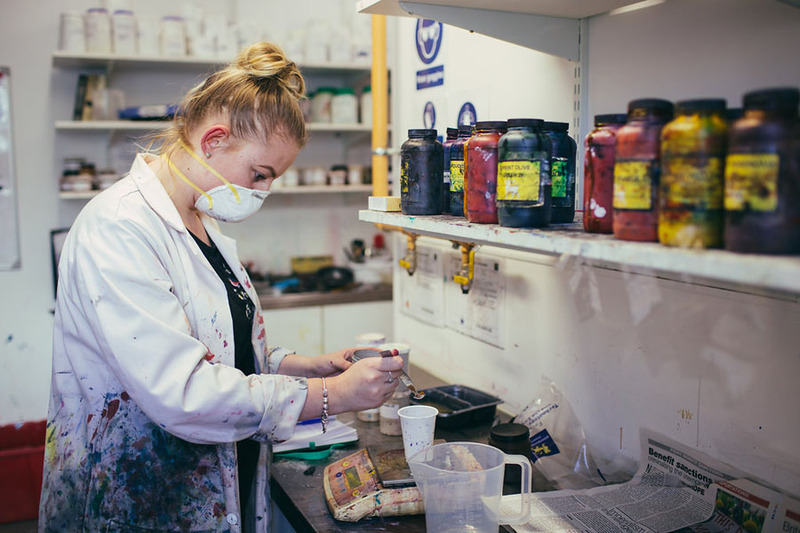 Zoë exhibits widely and has undertaken private and public commissions, including bespoke ranges for the British Museum and site-specific work for the National Trust. 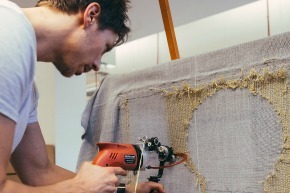 She exhibited in COLLECT17 at Saatchi Gallery this year and to coincide with her solo show 'Balancing Tensions' at The Anthropologie Gallery in September, held a public stitch event as part of London Design Festival. Zoë is a member of Contemporary Applied Arts and the Society of Designer Craftsmen. 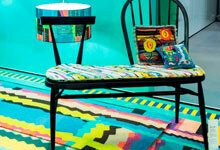 Sarah graduated in 2009 with a first class honours degree in Textile Design. Her knitwear collection attracted attention at Graduate Fashion Week winning the Pringle of Scotland Visionary Knitwear Award and making the shortlist for the River Island Gold Award. She went on to study an MA in Fashion Knitwear Design where she was awarded funding through the Paul Smith Scholarship to spend two months in Tokyo, Japan. She was selected as one of 25 graduate designers for Texprint 2012, exhibiting her MA knitwear collection in London, Paris and Hong Kong. 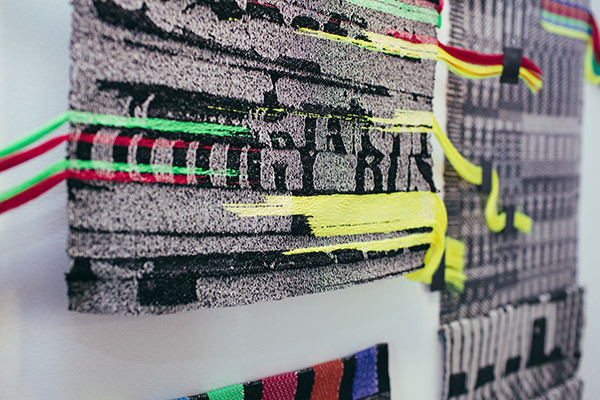 Her personal work is technically driven and has been shaped by an appreciation of knit as a versatile design language. A love of Japanese design has also influenced her simple and functional, yet intricate aesthetic. Sarah also has a fashion knitwear background in industry, and has worked as a Knitwear Designer with high end Italian label Alberta Ferretti, followed by a more commercial role within a fast-paced swatch design studio. Sharon currently teaches on the L6 Textile Retail Management Pathway and with Constructed Textiles students on L5. Sharon graduated specialising in knitwear and achieved a first class honours degree in Textile design. 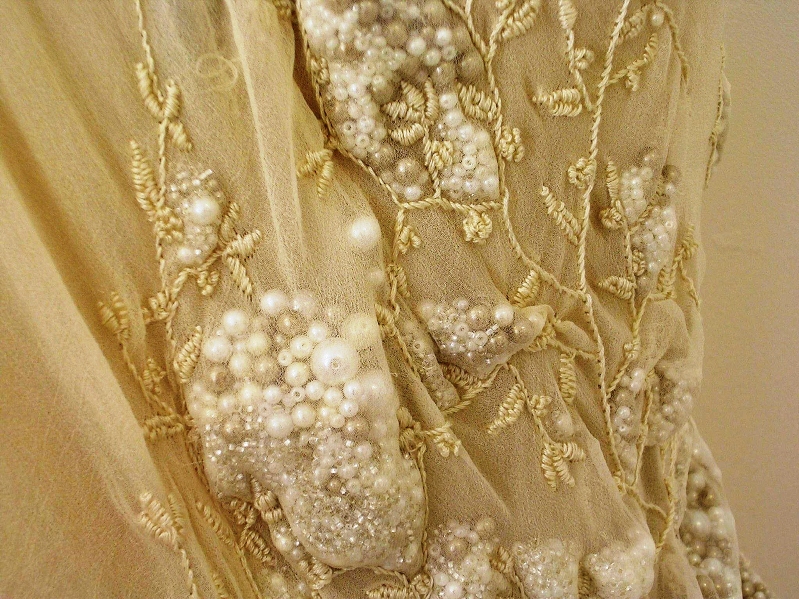 She was a winner of the RSA student awards winning the Worshipful Company of Weavers Award. Her collections of scarves were developed into commercially viable products and sold into Liberty of London. Sharon then pursued an MA in Fashion and Textiles, research focused on knitting technology and she won a Bursary from the Worshipful Company of Framework Knitters for her research study proposal. Sharon has over 15 years experience in the fashion and textile industry and a thorough understanding of clothing product development and retail. She has gained an in-depth knowledge of working with multiple retailers including M&S, Monsoon, Next, Jaeger, East, Boden and Hackett. Her career as a designer has progressed to design executive for a large global apparel business whose head office was based in Hong Kong. She managed a team of designers with overall responsibility for design and development in the UK for knitwear. 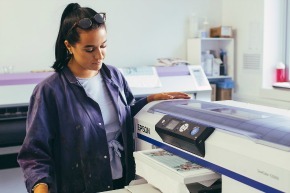 Sharon has current experience of the complex global fashion business and an understanding of the pressures of fashion and textile students to gain relevant work experience, insights and contacts within the industry to strengthen employability. 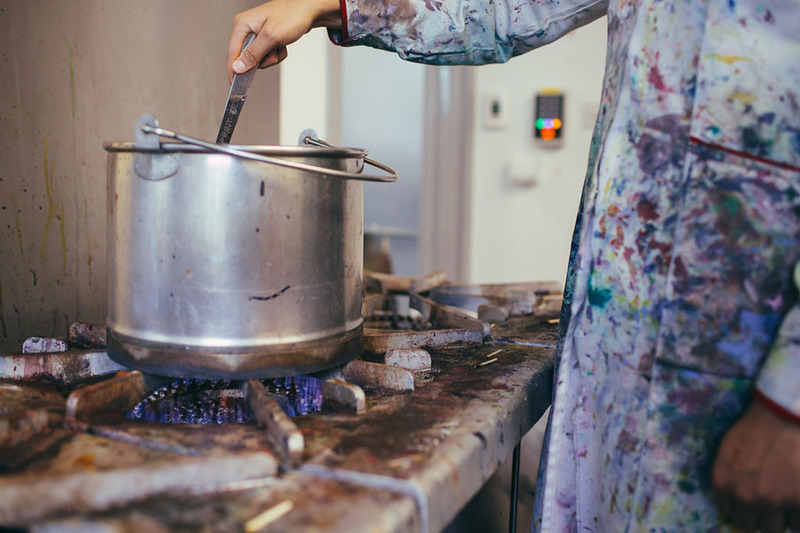 Clare Langford is currently third year coordinator of the Textile Design Programme and teaches Constructed Textiles on L5 (second year) and L6 (third year). 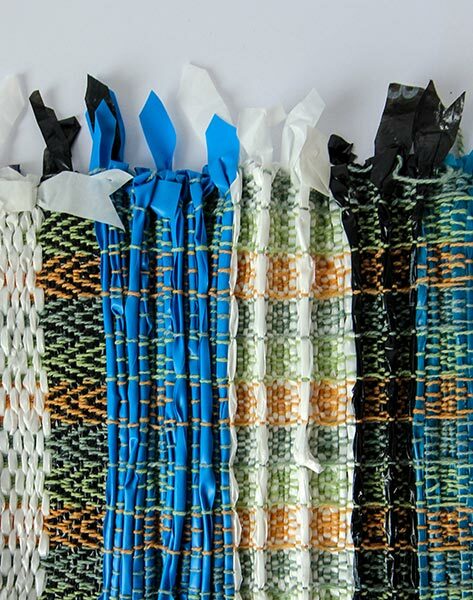 Having graduated with a first class honours in Constructed Textiles (specialising in weave) Clare went on to win a number of awards including an RSA Design Award which took her to the Kawashima Textile School in Japan. She went on to develop a career as a designer maker, exhibiting work at a number of nationally recognised galleries and craft fairs and being shortlisted for the Crafts Council British Crafts in Japan Award, before starting her career as a lecturer. She has dedicated the last 18 years to teaching in Higher Education and brings her passion for weave, material development and fun learning approaches to her teaching position. 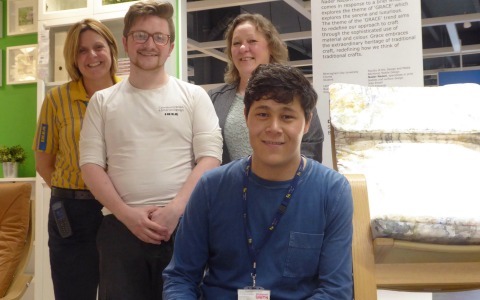 Clare has played a leading role in developing student employability through the organisation of student work placements and the development of industry links and live project collaborations. 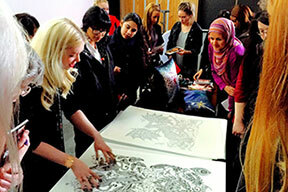 Her lecturing experience spans across all three levels and disciplines of the textile design programme. Within her own practice and research interests she maintains a strong focus on material exploration, transformation and the making process. 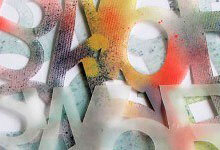 Her approach often involves working with heat responsive materials in the creation of new surfaces. Dilusha is a Lecturer in Textile Design, and an active researcher in the areas of smart materials and dynamic textile design. 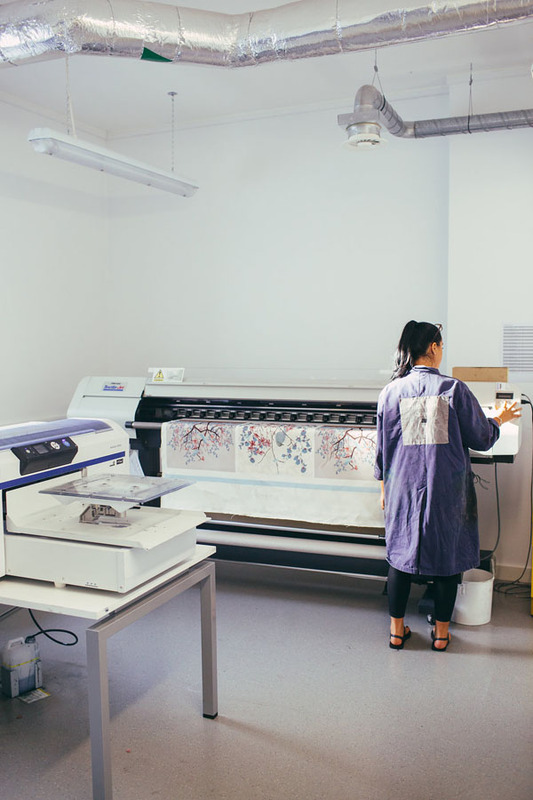 Dilusha’s multidisciplinary practice-based research examine the fusion of smart materials and textile printing methods in order to integrate animated colour and pattern changing aesthetics onto fabrics without compromising the core textile characteristics. Dilusha completed his PhD in 2017 and his research was fully funded by the Nottingham Trent University Vice Chancellor’s Scholarship. His doctoral research questioned the unexploited design potential of photochromism and contributed by articulating an approach that can be applied to design a new level of multicolour and pattern changing effects on textile surfaces. He was also a recipient of the Harold Tillman Scholarship Award and completed his MA in Digital Fashion at London College of Fashion, University of the Arts London. 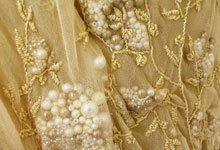 He also holds a BA (Hons) in Fashion Design and Product Development obtained from University of Moratuwa, Sri Lanka.